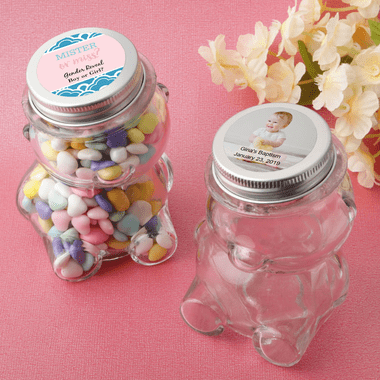 Fill these adorable teddy bear jars with candy for the perfect baby baptism favors. Choose pastel blue candy for a boy or pink for a girl and you have a nice table decoration as well. While these glass jars don't come with candy, you can fill them with any small treat from jelly beans to M &M's. You have the option of uploading a photo into our system. Each glass teddy bear shaped jar measures Size 4 x 2 3/4 x 2 3/4 inches with a , capacity of 5.5 oz . A lid which screws on easily, has a flat top on which for you to place your custom label. Sold bulk packaged, these teddy bear jars are sweet as honey! 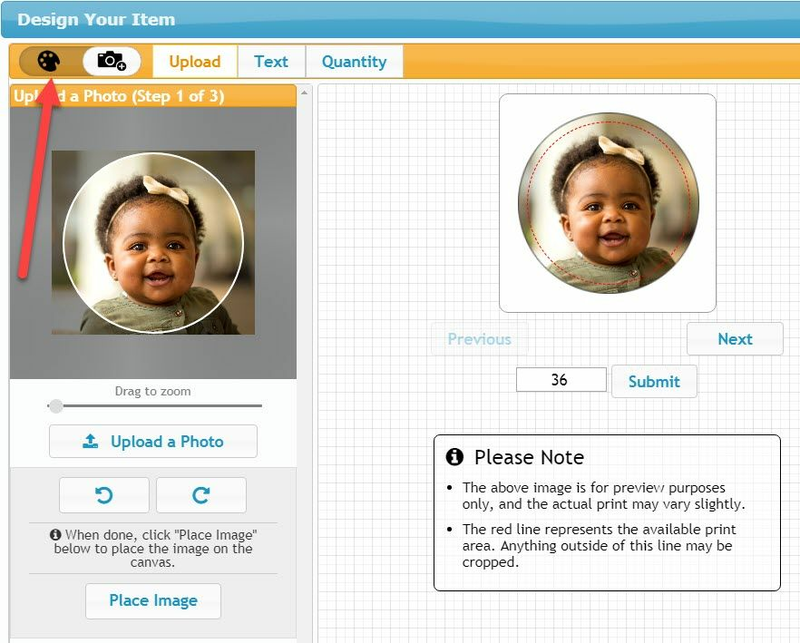 Personalized labels are self-sticking for easy application. Very cute & perfect for a party with kids.